Late last year, Sony gaming boss Kazuo Hirai hinted that the next generation of the company's PlayStation portable handheld gaming device would learn from Apple's success with touch-based controls and casual gaming. In January, Sony unveiled the device, then codenamed the Next Generation Portable, which features a 5-inch OLED touchscreen and front and rear touch pads. The Tokyo, Japan-based electronics giant announced Monday that the NGP will be officially named the PlayStation Vita, as noted by MacNN. 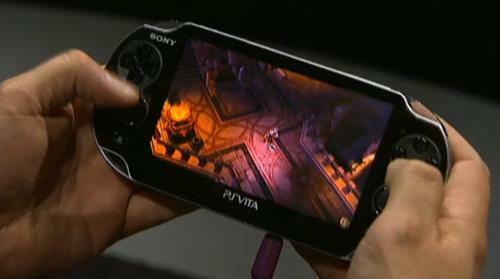 The PS Vita will sport a quad-core processor and quad-core graphics, as well as dual analog sticks and front and rear cameras. Sony also revealed an aggressive price of $250 for the Wi-Fi only version. AT&T will partner with Sony to launch the 3G PlayStation Vita in the U.S. for $300, with access to over 20,000 free Wi-Fi hotspots. The device is scheduled for release in time for this year's holiday season. However, several analysts criticized the device as being too costly. "That's fine for core gamers who want to play games all the time, but it's too expensive for the mass market," said Dan Ernst, a Hudson Square research analyst. By comparison, Apple's entry-level iPod touch costs $229. Apple, however, will have a chance to respond, as the company is expected to release an updated version of the iPod touch later this year. Sony's other major mobile gaming rival, Nintendo, also offers its Nintendo 3DS gaming system for $250. But, after the initial wave of early adopters this spring, 3DS sales dropped off to "lackluster at best," The Wall Street Journal reports. Nintendo President Satoru Iwata warned in April that sales of the device had weakened, with just 194,000 systems being sold in the U.S. that month, compared to 400,000 units in the first week of availability in March. 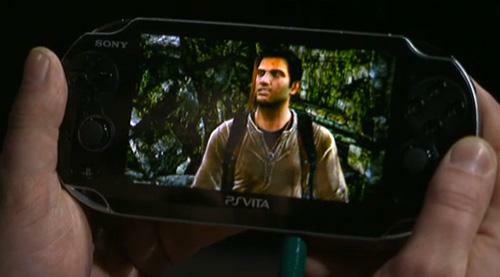 Games demoed during Sony's keynote included LittleBigPlanet, Street Fighter vs. Tekken, Ruin, Wipeout 2048 and Uncharted. Sony has lost considerable share to Apple in the mobile gaming market. In 2009, Apple achieved a 19 percent share of U.S. mobile gaming market revenue, compared to 11 percent from Sony, according to Flurry Analytics. In 2010, iOS and Android took 34 percent of revenue, while the PlayStation portable shrunk to 9 percent. Sony Ericsson recently launched the Xperia Play, an Android-based PlayStation phone meant to compete with the iPhone for smartphone gaming. In April, Sony revealed plans to launch an Android-compatible PlayStation Suite content platform that will offer PlayStation Portable and PlayStation 1 gaming titles.